Studied classical trumpet. 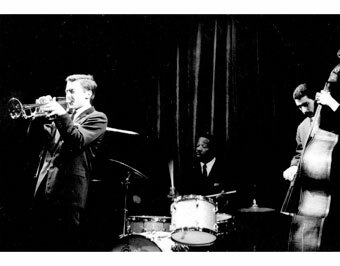 Got interested in modern jazz during the sixties with opportunities to play with musicians like Kenny Clarke, Mal Waldron, Oscar Pettiford, Abdullah Ibrahim (then Dollar Brand), George Gruntz, Irène Schweizer and others. Member or co-leader of groups like Magog, Jazz Community as well as numerous participations in experimental groups and free improvisation projects. During the eighties he founded the chamber music improvisations group Habarigani (see discography), toured Switzerland with Carla Bley, recorded Audience Third Stream concert with Gunther Schuller (Darius Milhaud, Charles Mingus etc.). During 92/93 Hans Kennel got called by Steve Lacey (see discography) with whom he recorded two highly praised CDs. He also recorded his own quintet Stella (featuring Mark Soskin) and his Habarigani Brass (see discography). Kennel also composed music for various radio plays and theater productions, such as Mars for Hans Kresnik for the Basel and Hamburg Schauspielhaus, wrote two pieces based on famous poems by Kurt Marti, and music for various films, mainly documentaries, such as the wonderful "Hirtenreise ins Jahr 2000" and "Alpine Saga" by Erich Langjahr (see links). 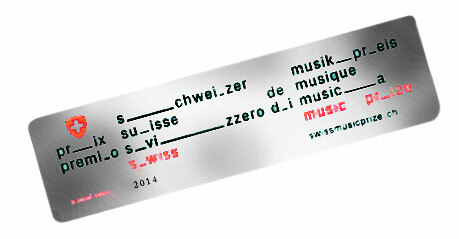 Since more than twenty-five years Hans Kennel has also started to search for his personal and family roots in Alpine music and become an initiator of a new wave of interest in some of Switzerland’s cultural heritage, triggering a movement among younger musicians to make their own experiments with traditional music. It all started with the Alpine Jazz Herd (co-lead with musicologist Jürg Solothurnmann), Alpine Experience and finally MYTHA, the pace making alphorn quartet. With this group, Kennel initiated a truly new and original method of playing and writing for alphorns and other related untempered natural horns of different basic pitch (see alphorn polyphony). The group has recorded two CDs which, after a short out-of-print period are again available in a compilation "How it all Started" on hatART records. Alpine Experience has two highly acclaimed records, "Rosa Loui" and "Call from the Alps" (see discography). On the later, Kennel also features "Heuis"( the Schönbächler Sisters), a vocal quartet (natural yodel or Jüzli) with cristal clear vibratoless voices. For his committed work as a musical catalyst in the triangle of folk, classical and improvised music, Kennel was honored with the Cultural Award of Central Switzerland 1998.